For those Disney·Pixar Cars collectors keeping track, here we have Artist Ramone; yet another brand new (ish) 1:55 scale diescast from Mattel! This version of the character has just hit shelves and is number 4/7 of the 2016 "#95 Returns" sub-series. If this one seems familiar, that's because it is. 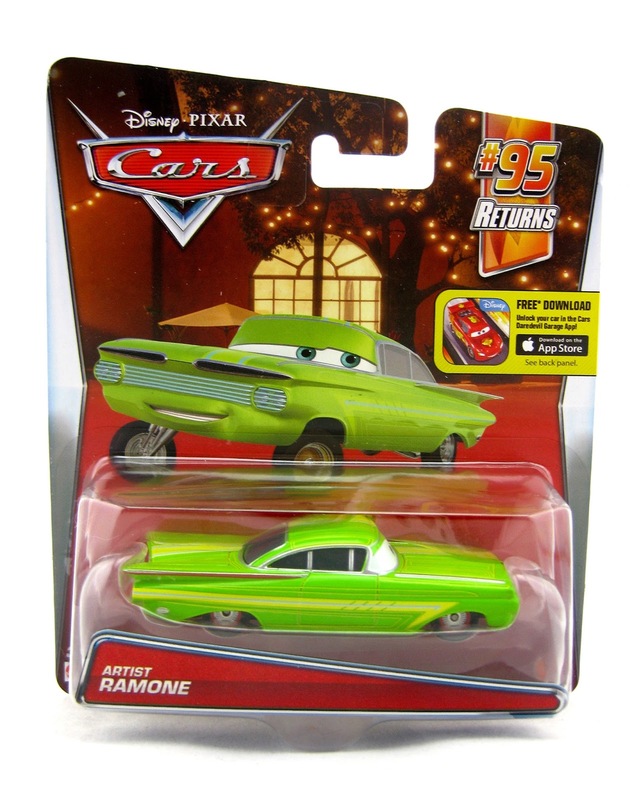 A very similar Ramone was released in 2013 and was called "Body Shop Ramone" (seen HERE). Really the only difference is that this one doesn't have the spray paint mechanism on his side. Other than that, if you have that one, you probably would consider yourself all set. For me, I can't help but get all variants. 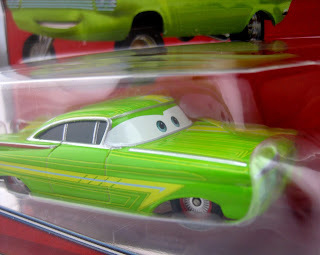 As shown in the screenshot above, Ramone appears this way in his body shop when we first meet him at the beginning of Cars 2. He's always ready to give Ottis some assistance after a breakdown! I was able to find this at Target just this past weekend, so head to your local store if you're on the hunt. Otherwise, you can always check out eBay or Amazon using the link below. Happy hunting!